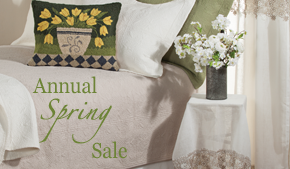 These home accents have been marked down for extra savings on Halloween style within your budget. Get your fill of witches, pumpkins and ghosts, and have a spook-tacular October! 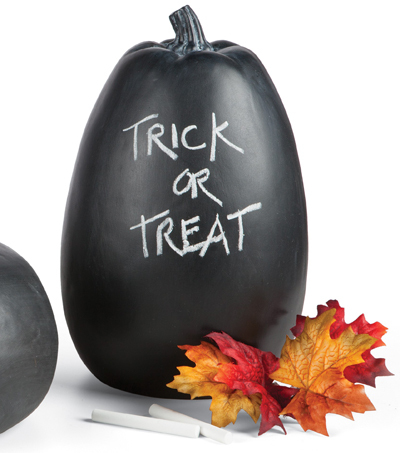 Carve your own jack-o-lanterns and accent them with a blackboard pumpkin on which you can write a festive message or draw spooky images. This Tall size comes individually, but you can also find a set of two or a set of three among other pumpkin decor in our catalog. Our Jack-O-Lantern Taper Candle can fill windows, shelves and other spaces with light and seasonal cheer, casting warmth and whimsy into every room. 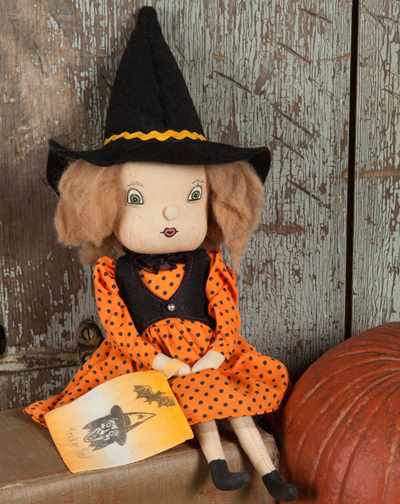 Felicity brings color and Halloween spirit to your home in her witches outfit and trick-or-treat bag. She will sit on a chair, mantel or bench to greet all of your seasonal visitors among pumpkins, candy and other Joe Spencer collectibles. For your table or kitchen counter, stylish salt and pepper shakers are always a must-have. 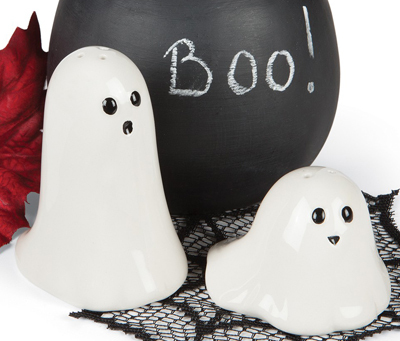 These cute ghosts will complete any centerpiece or Halloween party table, offering salt and pepper throughout the season. 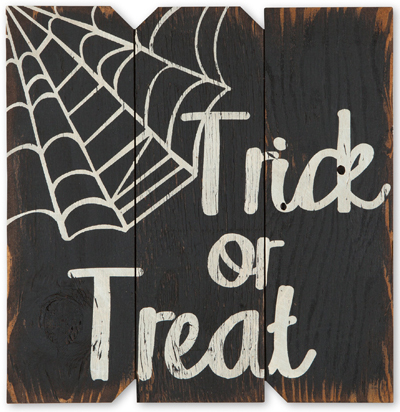 This Halloween wall art is made in the USA, and is a charming addition to a hallway, entryway or family room this season. The distressed wood panels create a rustic look, and are accented by a white spider web for creepy appeal. What’s better, this must-have home accent and those shown above are available for less than $30 – check them out before All Hallows’ Eve arrives! You can also find our entire selection of Halloween decor (including web exclusives!) here. This entry was posted on Monday, October 10th, 2016 at 10:10 am	and is filed under Apartment, Art, Bathroom, Bedroom, Candles, Decorating, Dining Room, Harvest, Holiday Decorating, Made in the USA, Monday Must-Haves, Seasonal Decorating, Thematic, Wall Decor. You can follow any responses to this entry through the RSS 2.0 feed. You can leave a response, or trackback from your own site.